Sometimes it’s hard to see the Good In Others. Nowhere is this more evident than on social media, where an innocent person (*raises hand*) is derided for something as banal as expressing admiration for a Hollywood actor. Even though we wanted to retaliate, we couldn’t do it. Not after we watched the 1948 comedy-drama, I Remember Mama. The film is adapted from a Broadway play, which was inspired by the 1943 novel Mama’s Bank Account by Kathryn Forbes. There was also a television series, if you can believe it, that ran 1949-1957. Forbes’ book, loosely based on her childhood, is a collection of stories about an immigrant Norwegian family living in San Francisco during the early 20th century. We read this book as a child and immediately became fascinated with Mama and her Swedish meatballs. In the film, as in the book, the family is very poor. There are five children who continually require shoes, school fees and groceries. Mama (Irene Dunne) is The Boss of the family’ finances. When her husband (Philip Dorn) brings home his pay, the family sits at the table to collectively determine the budget. The money is kept in a box and, remarkably, nobody steals from it. Mama is equitable with the funds, but one thing is non-negotiable: The family must never, under any circumstances, go to the Big Bank and withdraw funds from her savings account. That money is for The Future. You could argue I Remember Mama models a form of socialism, where the individual sacrifices for the sake of the group so resources can be shared as fairly as possible. We think Dunne’s character models more personal choices. She chooses to be a humanitarian, no matter what. This doesn’t mean she’s a treacly, naive woman; indeed, Mama is shrewd. If she were a Criminal Mastermind, we’d all be powerless against her. Nay, at some point in her life, this woman decided she would be a Humanitarian, and that was That. In one scene, the family’s youngest daughter is rushed to the hospital. Here we watch Dunne-as-Mama, seated in the waiting room, sick with worry, struggling to keep a calm exterior. The operation is successful, but Mama is not allowed to see her daughter for 24 hours. She’s nearly beside herself; she promised her daughter she wouldn’t leave her alone. She begs the nurse for permission to stay, but you know how it goes: Rules Are Rules. However. Mama is not one with whom you should trifle. She returns to the hospital, bucket in hand, and begins washing the floors as she makes her way to her daughter’s ward. The nurse at the desk barely looks up. “It’s about time they washed the floors around here,” she says. Regardless, Mama cleans the floors and finds her daughter, and the girl is overjoyed. But did you see what Mama did there? She can’t help but be helpful. Even while she’s breaking the law, she’s improving hospital sanitation. Confession: The first time we saw I Remember Mama, years ago, we didn’t like it. First, where were the Swedish meatballs? Secondly, we thought Irene Dunne looked too much like a Movie Star. But we changed our mind when we saw it again. Dunne is almost too beautiful, yes, but she is otherwise convincing as Mama. We feel she deserved her Best Actress Oscar nomination. It’s interesting to note, during a time in the late 1940s when film noir dominated movie screens, director George Stevens tackled a project dedicated to the charitable in people. Critics liked the film – even the curmudgeonly Bosley Crowther – but audiences weren’t as receptive. It lost $1M US at the box office. Yet, it is a good film. If you need a break from the negativity in life, we recommend spending some time with Mama. 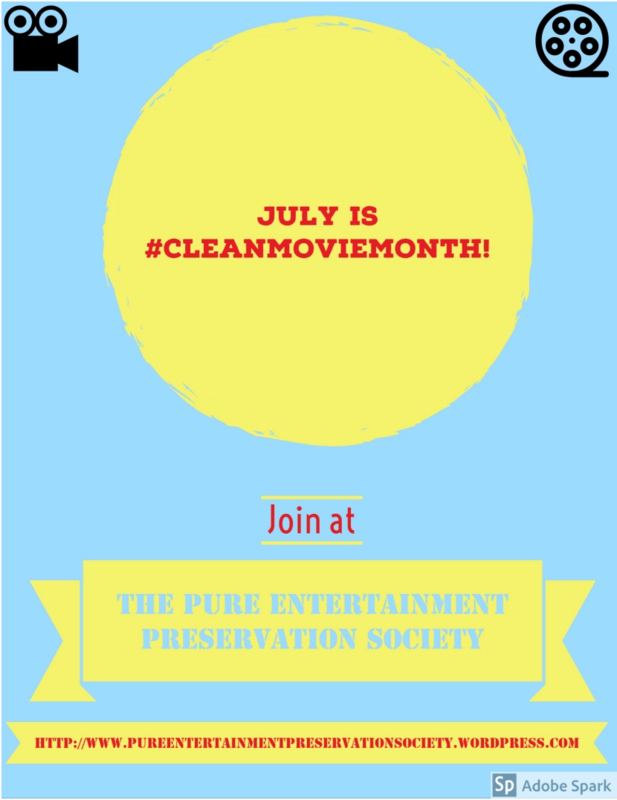 This post is a late contribution to #CLEANMOVIEMONTH hosted by PEPS. 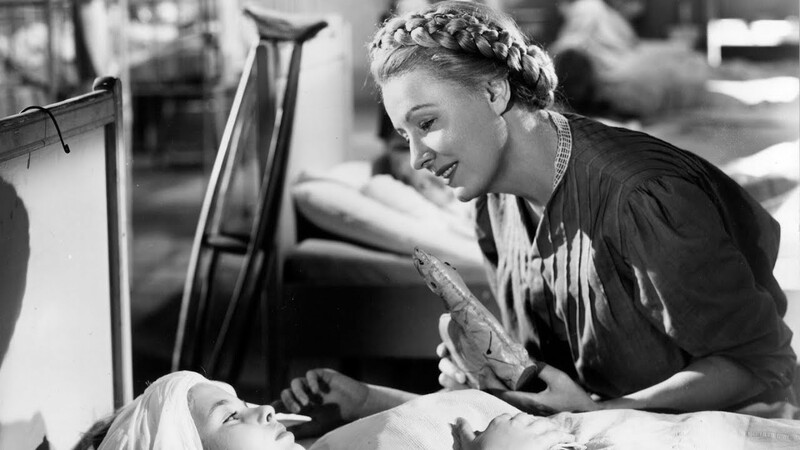 I Remember Mama: starring Irene Dunne, Barbara Bel Geddes, Oskar Homolka. Directed by George Stevens. Written by DeWitt Bodeen?. RKO Radio. Pictures, 1948, B&W, 134 mins. I haven’t seen this, but you make it sound as if I very much ought to. Meatballs or no meatballs! As for the social-media stinker you encountered, maybe you shouldn’t have tweeted your views on the Hollywood actor to @realDonaldTrump. I hope you get the chance to see this one. Irene Dunne is quite fabulous, as she often is. I am flummoxed at the thought that I Remember Mama was a box office dud. I have committed the movie to memory over the years and love it dearly. PS: I recently shared it with my daughter for the first time and told her she wouldn’t cry. I am one Mama who will never be trusted. It’s surprising that this film wasn’t a box office success. I was stunned to find it out. I’ve never seen this film, but I love your review! I agree. We need more positive movies, a bit more Capra-corn and the like these days, to offset all the dreadful stuff we read and encounter. As always, well written! Now, if I can just find the time to watch this film. Mama trying to see her daughter reminded me of that one episode of I Love Lucy where she’s trying to give little Ricky his bear when he’s at tge hospital. That episode of I Love Lucy sounds poignant. I’m going to see if it’s on YouTube. Thanks for stopping by. 🙂 I hope you get the chance to see this film. I hate to rain on your Bernie Sanders parade, but a family scrimpin’ and savin’ money for the benefit of the entire brood is definitely NOT “socialism.” Socialism is defined as the means of production being controlled by the state. Such a lovely film. This one is a real character piece. Irene Dunne was such a terrific actress. You’re right – this is is a terrific character study. I can’t imagine anyone other than Irene Dunne in this role. I liked it the first I saw it and still do. Barbara Bel Geddes and Irene Dunne are fabulous. 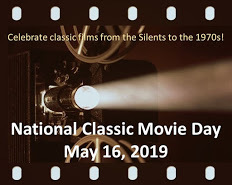 It may be my favorite of the latter’s performances.It’s still a popular TV attraction on Mother’s Day and if I catch it while channel surfing, I usually find myself watching the rest of the movie. I’m glad I saw it again. It would’ve been a shame to miss out on appreciating their performances. I hope you get the chance to see this. Dunne is superb as a smart, loving mother. If only it were as easy to have such resilience and faith in other people in real life as Mama does in the film. I hadn’t thought of her action as “subversively ethical” before, but what an intriguing concept…. This is such a lovely movie. I haven’t seen it in years. Must rewatch. As for social media, it’s best to stay far away from that. Other than classic film blogs of course. In general social media is for one thing only, deriding other people. Ha! You’re right about social media. I’ve cut way down on my use. As for the movie, it is lovely, like you said. I can’t believe I didn’t like it the first time I saw it. This is the life of a mother. I found myself rehanging things at a warehouse sale last week because I’m a trained mother. Washing the floors makes sense to me. Can hospital floors get cleaned often enough? (And I’d do that) And incidentally, it also reminds me of a friend if mine who was a nurse in England about 15 years ago. She complained to me that the hospital was mopping from most infectious areas to least infectious. I could really do with a break from negativity, and for your statement, “an innocent person is derided ….”; I’ll raise both my hands a gazillion times. I have to say Ruth, this is a very insightful account of a movie I wasn’t that aware of. Now, I really want to read the collection of Short Stories, the play; watch the TV series, and of course; definitely, watch the MOVIE! And when you spoke of the socialism aspect, at least it’s a non-violent form of socialism, by the matriarch of a family. And that too, a poor family. It would have been more of a necessity according the time period it is set in (From the costumes, I gather it is set in the Edwardian era (1900’s/1910’s)). And it might be applicable to the time it was made in, as well; Post-World War II. Besides, she seems to be a humanitarian by choice; which is the best kind of open-minded caring ruler, not just in a household, but for a country. Agreed. One who is humanitarian by choice is a true humanitarian, and our world desperately needs more of those. I hope you get the chance to at least watch the film. The book has been out of print for some time, I think, and may be difficult to locate. But Irene Dunne is marvellous as Mama. As for an innocent person being derided, I hope that situation will soon improve for you… You’re smart and genuine and deserve much better. I’m watching this movie at the moment. It’s been quite a while since I seen it last. It’s an utterly delightful film on all levels. Irene Dunne is quite adept at speaking with a Norwegian accent. She was one of cinema’s most talented actresses in my opinion, and “I Remember Mama” really showcases her acting prowess. Agreed. I thought her Norwegian accent was quite convincing. And she is, as always, very charming. Mama has signed up on my “Movies To Watch” list. I hope you get the chance to see it! It’s also an interesting (unrealistic?) look at immigrant life in San Francisco in the early 1900s. I didn’t know Garbo had been approached for this role. I’m having trouble picturing her as Mama… She would be far too glam for the role, in my mind.